Haredi MK pushes Jerusalem transportation committee to expedite placement of additional Rav Kav machines. During discussions held by the Special Committee for Public Petitions for Transportation in Jerusalem, Committee Chair Yisrael Eichler (UTJ) pressured those in charge to expedite the placement of new "Rav Kav" machines around the city. 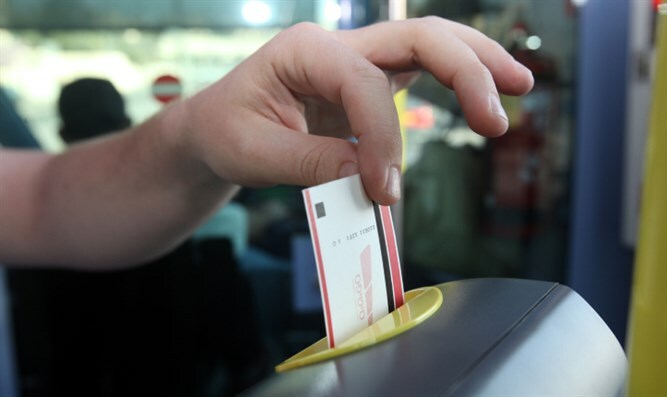 The new machines will allow passengers to charge their Rav Kav cards and to check how much credit their cards have before getting on a bus or light rail train. A Rav Kav card is a personal or anonymous card which allows the holder to board buses and trains around Israel. Both personal and anonymous cards can be loaded with 30, 50, or 100 shekels to be used indefinitely until the money runs out. However, only a personal card can be loaded with a daily, weekly, or monthly pass. Responding to Eichler, the director of the Jerusalem Transportation Plan said the necessary infrastructure work to allow the machines' placement was completed, and that 33 additional machines would be placed at strategic locations around Jerusalem and near the most crowded bus and train stops. Eichler thanked the director and expressed his hope that the new machines would be functional soon. "The ability to charge Rav Kav cards with 'accumulated money' will significantly improve the efficiency of transportation in the city and dramatically decrease the precious time each driver spends dealing with passengers' payment," Eichler said. "It's also safer and more convenient." "I hope similar machines will soon be placed in other areas of Israel, and that we will be able to improve Israel's public transportation system and help the public."